Key light: A key light is the main or principal light that provides the majority of light for your setup. You should place the key light in front and to the side, which ensures that you get good reflections in the highlights. 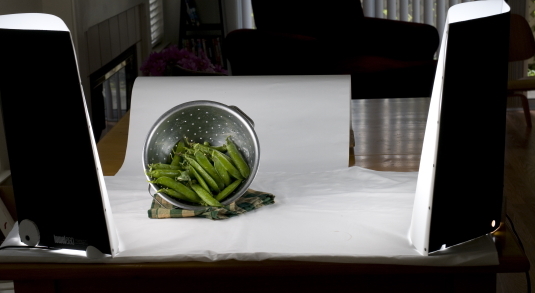 The setup in the following figure is a pretty common placement for a lighting setup. The key light on the left is closer in and stronger, and the fill light on the right is farther back and more subtle.